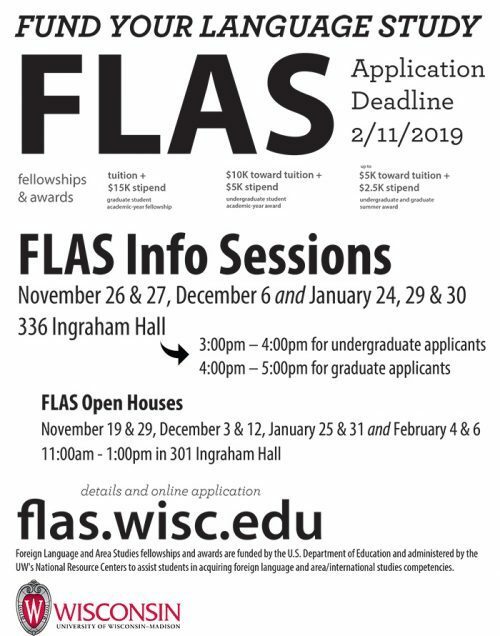 Foreign Language and Area Studies (FLAS) fellowships are funded by the U.S. Department of Education and administered by the UW’s National Resource Centers to assist students in acquiring foreign language and either area or international studies competencies. FLAS awards are only available for specific languages, and are contingent on federal funding. Feedback, questions or accessibility issues: info@creeca.wisc.edu.